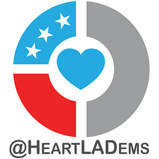 Los Angeles County, CA – The Heart of LA Democratic Club (HLADems), a Los Angeles County Democratic club which promotes equality and the full representation of women in local, state and national politics, urges Los Angeles voters in Council District 12 to vote for one of the three highly qualified women candidates in the June 4, 2019 primary election. The seat was vacated by Mitchell Englander in December 2018. District 12 covers the northwestern San Fernando Valley, including the neighborhoods of Chatsworth, Granada Hills and Porter Ranch. Of all 18 elected officials in the City of Los Angeles — mayor, city controller, city attorney and city councilmembers — only two are women. It is high time that the City of Los Angeles catch up with its progressive values and recognize that representation matters. The Heart of L.A. Democratic Club believes that all three Democratic women running are highly qualified, and deserve our support.